Being prepared is a big part of being successful when choosing to diet or change your lifestyle. Low carb snacks are a great way to stay on track and add some filling protein to your new lifestyle. If you prepare snacks ahead of time for easy grabbing, you are less likely to make poor choices. Purchase some well made storage containers, like Wellslock One Snap Storage Containers. 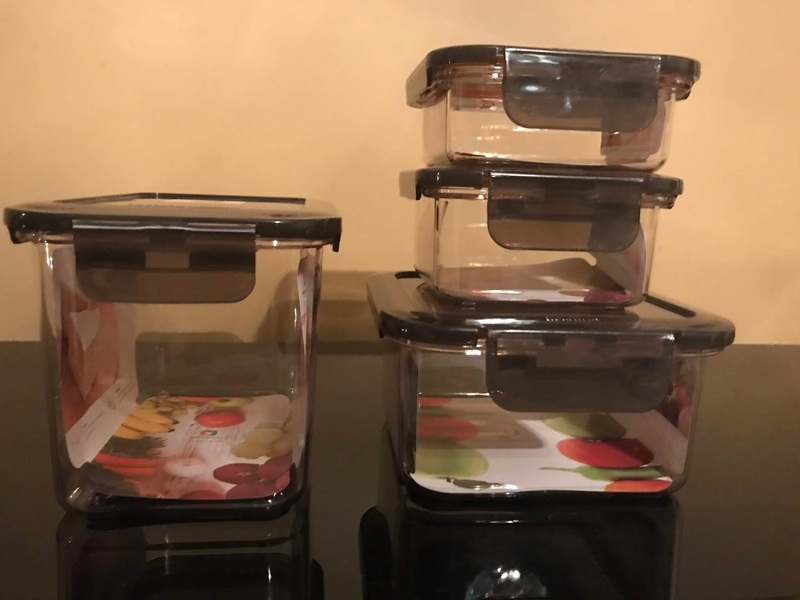 These containers are 100% leakproof, BPA free, stack up nicely and resistant to tomato sauce and hard water stains. They are also safe for microwave, dishwasher and freezer use. I received the above pieces and I like how easy they are to use and store. They stack up really nicely and are made of a strong durable material. I even dropped one and it didn't open. I like the slide and one lock fit. Its very simple to use. Check out this video to learn more about Wellslock. Are you looking for some easy low carb snack ideas that you can keep on hand easily for a quick grab later? Try these quick and easy ideas that you can grab and take along anywhere you go. Dip peppers or spread hummus directly onto red bell pepper slices. 1/4 cup of hummus and 1 red bell pepper equals only 16.4 grams of carbs. I love mixing sweet and salty flavors. Slice up an apple and 1 ounce of mozzarella cheese for a yummy 10 grams of carbs snack. This is a nice filling snack because of the protein, fiber and fat combination. Mash up an avocado and enjoy 1/4 of it with some light rye crackers or red bell pepper slices for a 17 gram of carb snack. Roll up an ounce deli slices of turkey with lettuce leaves and mustard. They make a delicious lunch or snack and are only 3.7 grams of carbs. Not only are they delicious but they will keep you full. Add 1/2 cup of fresh or frozen blueberries to 1 cup of low fat cottage cheese and sprinkle with a no calories sweetener for this 17 carb snack. 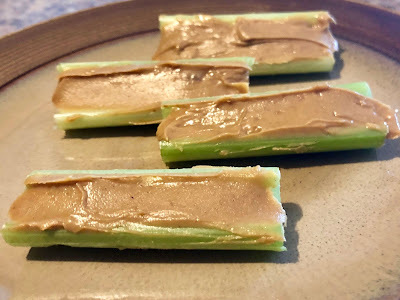 Fill 2 stalks of celery with 1 tbsp of natural peanut butter in each. This yummy snack is only 10 grams of carbs. These yummy snacks are only 5 grams of carbs per 1.5 ounce of jerky. 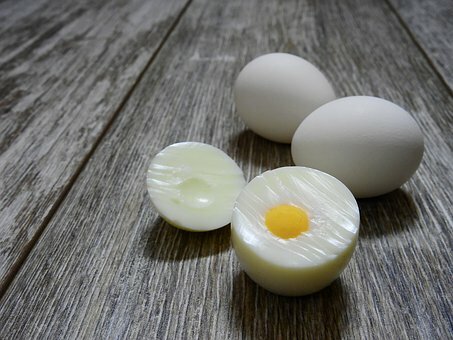 This protein packed snack is only 1 gram of carb per egg! Spice it up with a sprinkle of sriracha sauce! Mixed nuts are a protein packed snack with only 6 grams of carbs per ounce. Eat them alone or add them to a salad or meal. Grab 3 ounces of tuna (you can buy the premade packets or a small can) and stuff it into a 1/2 tomato. This is only 3.5 grams of carbs and loaded with flavor. Disclosure: I received product to review for my honest personal opinion. Yours may differ. My kids and I eat a lot of these snacks, though I have never heard of the Cheesecake Alternative. I will need to try this. The Wellslock One Snap Storage Containers look like they could stop a lot leaks with those side locks, unlike some of my current storage containers.